Gather round, Harvard, For a new investment plan. Gas and coal and oil are deadly blights. Fossil fuel is ecological dynamite. Still be running a big dividend. To be a leader yeah, yeah, yeah, You’ve got to bend. There’s no gain maintaining the status quo. You didn’t get to where you are Just following the crowd. 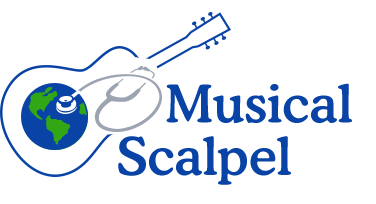 It is time to upgrade your portfolio. You want to be a leader, you’ve just got to lead. It’s time for some Veritas. What’s it about? 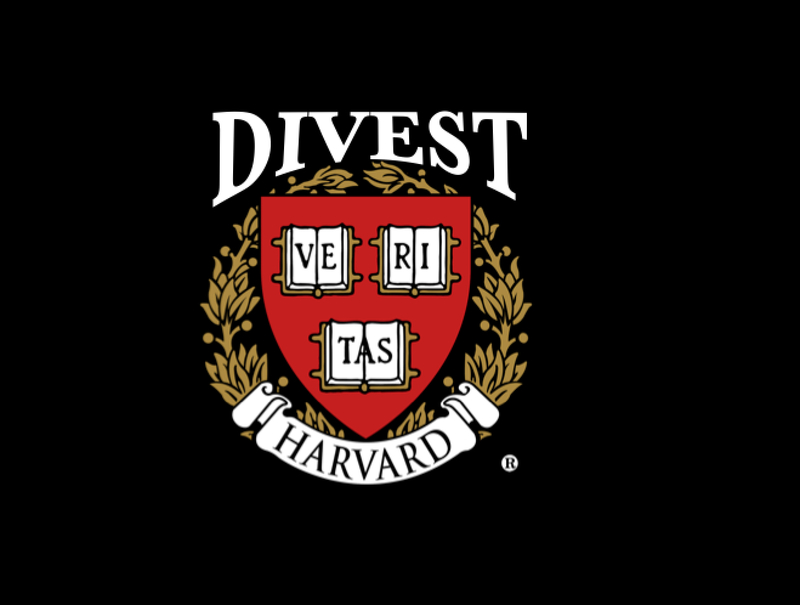 A song in honor of DivestHarvard, a group of Harvard students and alumni, organized to encourage the university to divest of its holdings in the fossil fuel industry. Why prepare students for leadership in a world you are helping to destroy? Inspired by Bill McKibben and divest350.org, churches, universities, and even cities are making the commitment to get rid of their investments in this destructive industry. Our fair planet’s climate is unraveling in our lifetimes, due to the unbridled combustion of tens of millions of years’ worth of buried sunlight in less than two hundred years, just a blink of the eye in geologic time. The prodigious amounts of released CO2, methane and other “greenhouse” gases have already measurably increased Earth’s temperature. Although the temperature rise to date seems quite modest (about one degree C.), the consequences are ominous, including: • Vanishing glaciers worldwide, which act as great reservoirs, providing critical water flow during summer months to billions of people in Asia, western U.S. and South America. • More than half of the volume of arctic ice has disappeared since 1979 (see this 30-second video graphic). Although the shrinkage evident from satellite photography is dramatic, the actual volume of arctic ice loss is greater still. • Acidification of the oceans, with loss of the plankton producing nearly half of the world’s oxygen. • Warming of air over the oceans, producing storm systems enormously greater in size and water content. • Unprecedented global rise in frequency and severity of both droughts and floods. • Increasing incidence and severity of forest destruction by fires as well as by insects. • Rising ocean levels, now conservatively predicted at one meter or more by the end of the century. • Grave public health issues related to migration of tropical diseases and urban sewage systems unable to handle the stresses of frequent flooding rains. Why Divest? Simple: If it’s wrong to destroy the planet, then it’s wrong to profit from that destruction, not to mention the suffering, displacement and starvation of people due to the effects of climate change. In addition to the moral arguments, the business arguments get more compelling every day. Stanford University divested from coal early on, and coal’s subsequent 90-plus percent loss of value proved this a shrewd decision. Do the math: As Bill McKibben, James Hansen and colleagues at 350.org have brought to public attention, our fossil fuel companies possess, today, economically available reserves which are five times greater than we can afford to burn in the foreseeable future, without triggering an catastrophic and economically ruinous degree of climate change. To keep global temperature change below 2 degrees C., 80% of current reserves must stay in the ground. Stocks in coal, gas and oil companies, whose value reflects the size of their reserves, are therefore greatly overvalued. In addition, there are very large unrecognized liabilities, including contamination of water supplies from fracking practices, or from flooding of their operations (as has happened last week in Colorado). Hedge fund manager Tom Steyer (quoted in this video) supports McKibben’s logic, stating that investors will come to recognize the risk of carbon reserves becoming a “stranded asset“. This recognition will drive down the demand (and the value) for fossil fuel investments. “If universities acknowledge what your own science departments are telling you“, he affirms, they will have an advantage over other investors. When will public opinion shift? It is happening now. In this 9-19-13 article from US News & World Report, the public is getting fed up with climate apathy in Congress, and fully 24% already support civil disobedience on the subject of climate change. We humans in the industrial world are destroying our own biosphere, our home, our futures, and life as our species has known it for much, much longer than all recorded human history. We have a curious propensity for ignoring dangers that are not clear, present and immediate. Grasping climate change requires both intelligence and imagination. Charting a path to influence our national leadership additionally requires moral commitment, and lots of influence. Divest Harvard recognizes that our planet, with all its rich life-support systems, is itself a patient in intensive care. The prognosis is guarded, at best. Our enormously powerful fossil industries, the legislators whom they enrich, and the media they control, are a formidable obstacle to correct diagnosis and decisive treatment. Is our civilization really going to fail due to moral and intellectual bankruptcy? It is time for Harvard, and all our great American universities, to step into this leadership vacuum and turn the tide. How can our economy get off of fossil fuels? First, by acknowledging that it is possible, urgent, and necessary. Germany remains committed to its program of “energy transformation”, investing heavily in renewables and abandoning nuclear. Though many US critics are unbelievers, Germany is heading for an economy powered 50% by renewables by 2030, and 80% by 2050. Like any other long-term investment, this costs a bit up-front, but Germany still has the strongest economy in Europe, and it will be strong indeed as more of its energy over time is supplied for free. The main obstacles to transition are political, not technical. What will climate change do to our economy? This is the question no politicians are willing to face. No one has stated this more clearly than former Energy Secretary Steven Chu: “Wake up, America. We’re looking at a scenario where where’s no more agriculture in California.” If we grasp the economic consequences of staying on our present course, the investments needed to alter that course seem pretty trivial. How To Stop Apocalyptic Climate Change (Nov 21, 2013), by Divest Harvard member Todd Gitlin, is a succinct summary of where we are, what’s keeping us, and how divestment campaigns at American universities and around the world will help break this lethal spell. Read it and pass it on! Hooray, Doug! Zorro strikes again. Robin Hood too! With melody from one of my all time favorite songs!! Frankly, I don’t worry about the planet. Mother Nature’s wisdom, embedded in networks of ecological systems, will do fine over time. We will have species extinction; and yet, some will adapt and new species will arise. But humans may not adapt in time. Our present political systems are not adaptive. We could adopt systems thinking and learn from the ecological edges of chaos but time is of the essence. In the next decade, as snow and ice cover yields to dark water and bare tundra, not only will water temperatures accelerate, and sea levels rise, but so will extraordinary releases of natural methane, a greenhouse gas 20X more potent than CO2 (per the EPA). Most of the world realizes the consequences. Citizen advocacy (for carbon taxes and reduction of population as well as war) needs to wake up the rest, particularly in the U.S., China, Russia, Brazil, India and, yes, even Canada. Let us hope that divestiture by universities leads to larger scale movements. Thanks again, Doug, for being an influential “voice”. If Harvard gives a damn about education – which they’re famous for, I understand – it will teach by example as well as in the classroom. BTW, how many Freshmen are required to take a scientific look at what humankind has done to our planet since the Industrial Revolution? And how many are then challenged to find a solution to the problem? How about some interdisciplinary courses that provide “community service” to the world? At least I did my share to keep Harvard from spending my tuition on pollution. I didn’t get in… twice. Keep it up, Doug. They ARE spending your tuition.